The Wars of the Roses saw family fight family over the greatest prize – the throne of England. But what gave the eventual victor of these brutal and complex wars, Henry Tudor, the right to claim the crown? How exactly did an illegitimate line come to challenge the English monarchy? 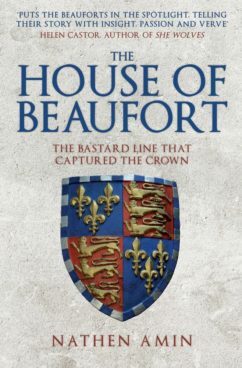 While the Houses of York and Lancaster fought brutally for the crown, other noble families of the kingdom also played integral roles in the wars; grand and prestigious names like the Howards, Mowbrays, Nevilles and Percys were intimately involved in the conflict, but none symbolised the volatile nature of the period quite like the House of Beaufort. Their rise, fall, and rise again is the story of England during the fifteenth century, a dramatic century of war, intrigue and scandal, both at home and abroad.